Shop online for 1 daron diecast model cars at discounts up to 20%. 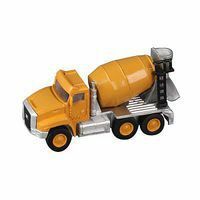 This is the 1/92 Scale Caterpillar CT660 Cement Mixer from Daron Worldwide Trading. Suitable for Ages 8 and Older.